Fancy a romantic getaway somewhere in South East Asia? This is the perfect time to travel around this part of the region and it doesn’t have to be noisy, crammed and sweaty. South East Asia is an enjoyable region and it is right to start from here. Going out of Singapore has never been this fun. If you plan to visit Vietnam, you have to consider the deserted beaches. One good place to visit is Con Dao. 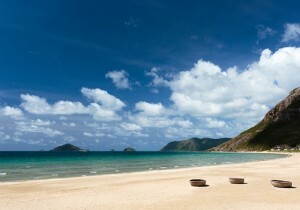 Con Dao is a secluded place which makes it best for romantic getaways. The island was once the location of prison. The island is surrounded by pristine beaches and covered by forests. There is also a five star resort nestled in the island where you will be treated with their rustic accommodation. If you decide to go to Thailand, you should not miss the Koh Lanta. Koh Lanta is also secluded – in fact, you don’t have to fight a space at the beach just to experience its fine waters. Though the island does not have party crowds like others (Phuket or Phi Phi), it is a good place to watch the sunset and indulge in a couple’s massage. There are many wonderful yet luxurious resorts and spas that you can consider that boast of stunning views of the Andaman Sea. If you want a romantic getaway but not that far from Singapore, you have to head to Penang. Penang’s capital is Georgetown and it is UNESCO World Heritage Site. Its colonial architecture and cuisine is a must to see and taste. If you have more time, why not go to famous night markets in Malaysia? There you will see arts, craft pieces and other Asian antiques. Bagan is in Myanmar and it is Lonely Planet’s top list to pop that question. Myanmar is becoming famous for its dreamy sunrises, pagodas and temples. Seeing the majestic temples and pagodas being bathed in light is truly a magical sight to behold. Famous activity there is hot air balloon ride. Seeing the magical place above is truly a different experience and while you are at it, take the ring out and pop the question. Now that you know some romantic getaways within the region, it is time that you finally plan that long overdue romantic getaway.